We specialize in building Drupal and WordPress websites for nonprofits. Below are a few of our recent projects. Floatleft teamed with Free Range Studios for the redesign and Drupal 7 upgrade of the Earthjustice website. This massive project was a huge success and resulted in a beautiful new responsive site for Earthjustice. 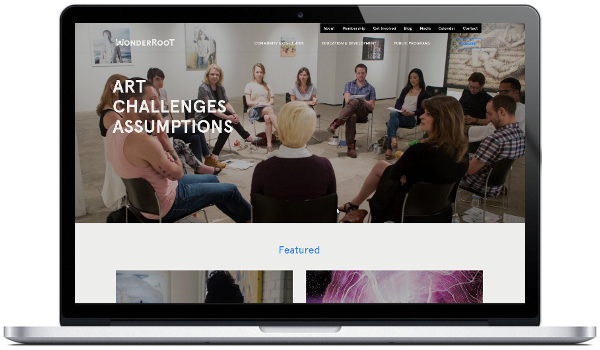 Floatleft partnered with Matchstic to develop a new site for WonderRoot. The project was part of an organizational rebranding process that "reflects the strategic growth, priorities, and exciting future for the organization". The site was built on WordPress and includes a new programming calendar. 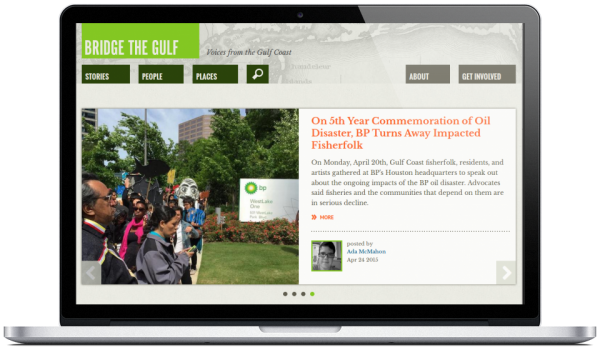 Floatleft was asked to partner with Ben Johnson on a redesign and Drupal upgrade of the Bridge the Gulf website. We worked with a small budget, prioritizing details of the design and implementation to meet their goals. The site is responsive and the upgrade was to Drupal 7. We're proud to have had the opportunity to support a wide variety of organizations over the years. They include organizations working towards environmental justice, women's rights, bicycle advocacy, nonprofit capacity building and climate education.